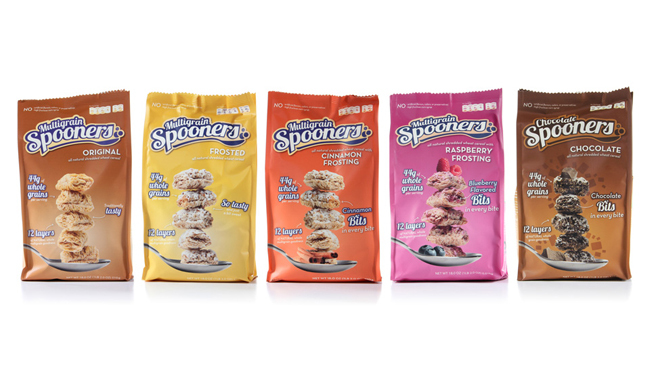 Welcome for National Cereal Day- March 7th-MOM Brands' newest addition to its ever-expanding portfolio of cereal brands: Spooners® ready-to-eat brand cereal! They've left out artificial flavors, artificial preservatives, high fructose corn syrup and hydrogenated oils so there's more room for what you really want in your breakfast bowl - nutritious, delicious, wholesome ingredients, all tastily bundled in 100% whole grain shredded wheat biscuits. 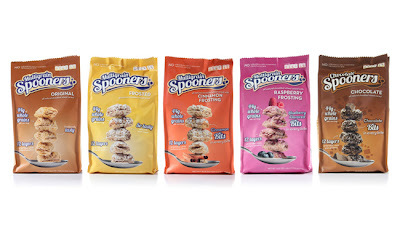 Packaged in an innovative stand-up bag, Spooners contain 75% less consumer packaging waste than comparably sized bag in box ready-to-eat cereals. Enjoy Mom Brand cereals this National Cereal Day!